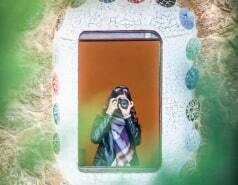 Barcelona would be so different without Antoni Gaudi’s influence. This architect designed some of the most emblematic icons of the city. With Barcelona City Tour tourist bus and the Attraction Pass you will be able to get to them and even visit them. The Sagrada Familia basilica is considered to be his masterpiece, even though nowadays, with the architect already dead, the church is still under construction. This religious building, which will finally be completed by 2030, is one of the most visited monuments in Spain and it has become one of the main points of interest in Barcelona like Park Güell (stop 12 of the East/Green Route), Casa Mila (La Pedrera) or Casa Batllo (stop 15 of the East/Green Route). 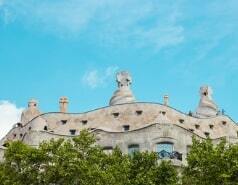 You will be able to get there easily, getting off at the nearest stops of the panoramic bus Barcelona City Tour. You will get off the bus within walking distance of these monuments. So, why don’t you design a route based in Gaudi’s artworks? 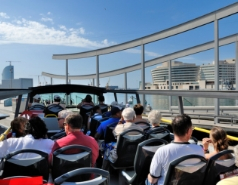 You will be able to get on and off the bus at any of the stops of the official Barcelona City Tour, as you will be able to enjoy the awesome views offered by the panoramic bus. If you want to see them and visit them, you can take the Attraction Pass and select the activities related to Gaudi, such as Gaudi Experiencia, an innovative experience which will allow you to discover the personal life and the lifework of this author in an interactive way. If you prefer something more traditional, the ticket to Park Güell or to Sagrada Familia are also available. Your trip to Barcelona won’t be complete without visiting one of Gaudi’s artworks, located at many areas of the city of Barcelona. You will find them while walking around the city or while riding one of the hop-on hop-off buses of Barcelona City Tour.